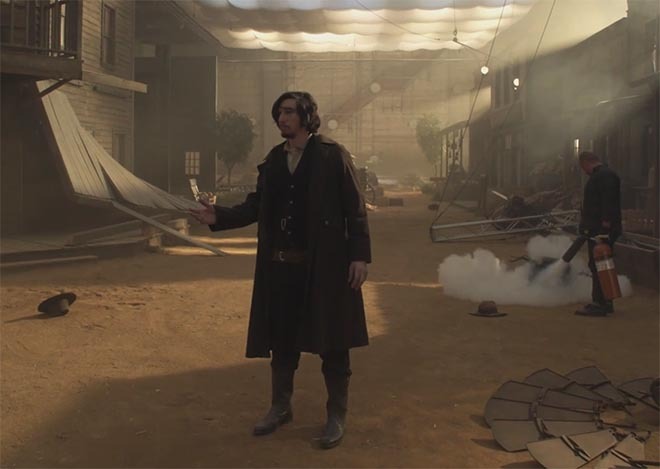 The Snickers Live Super Bowl ad was heralded with a series of curtain openers, with more and more detail on the Showdown, pointing to Adam Driver, other less known actors, stunt horses. Short casting videos feature a horse and a dead cowboy. The Snickers Live campaign had a 36 hour live stream countdown, with appearances from Adam Driver, Betty White, Tyler Oakley, Kandee Johnson and many more. 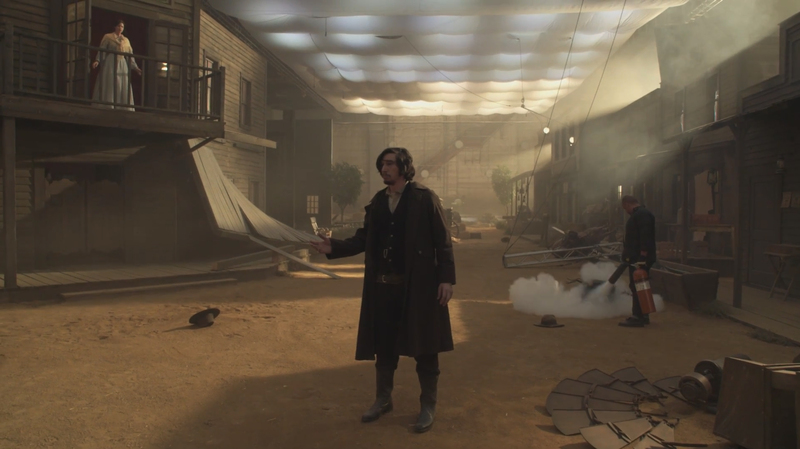 The Snickers Live campaign was developed at BBDO New York by chief creative officers David Lubars and Greg Hahn, executive creative directors Gianfranco Arena, Peter Kain, creative directors Scott Mahoney and Dan Oliva, head of TV production Devon Clark, music producer Melissa Chester, planner Sean Stogner, director of integrated production David Rolfe, executive director Amy Wertheimer, planning director Annemarie Norris, group account director Susannah Keller, account manager Blake Maraoui, account directors Lisa Piliguian and Tani Corbacho, account executive Dance Fields, and president Kirsten Flanik. Filming was shot by director Jim Jenkins via O Positive with director of photography Mauro Fiore, executive producers Ralph Laucella, Marc Grill, and producer Blake Morrison. Editor was Geoff Hounsell at Arcade Edit with executive producer Crissy DeSimone, head of production Kirsten Thon-Webb, senior producer Adam Becht, assistant editors Laura Sanford and Tessa Malsam, managing partner Damian Stevens. Post production was produced at Squad 47 by executive producer Steve Greenstein. Sound was designed at One Thousand Birds by producers Andres Velasquez + Andrew Tracy. Music was produced at Emoto by composer John Adair, producers Paul Schultz and Laura Dopp. What is The Inspiration Room? © Copyright 2019 The Inspiration Room. All Rights Reserved.